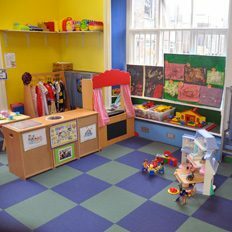 Tiger-Tots Pre-school provides childcare between 8.00am and 5.00pm during the academic year for children between the age of two years and four years. Tiger-Tots Pre-school forms part of Wigston College’s extended services; the board of governors are the registered persons for the pre-school. 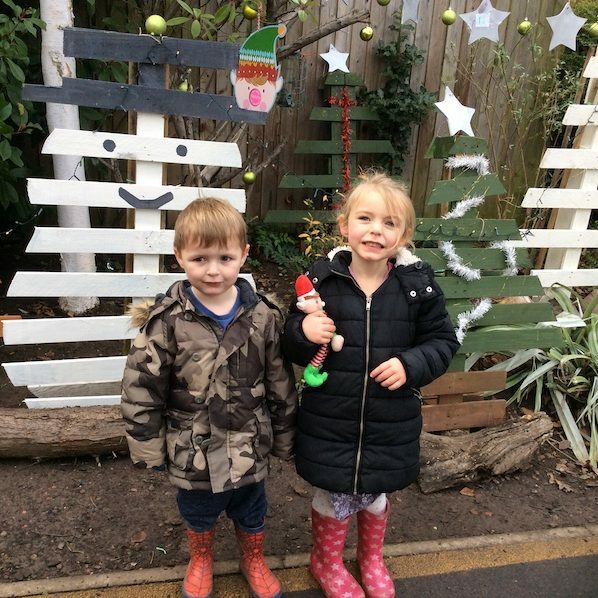 The Elves have been very busy over the weekend in Tiger-tots garden decorating it ready for Christmas. 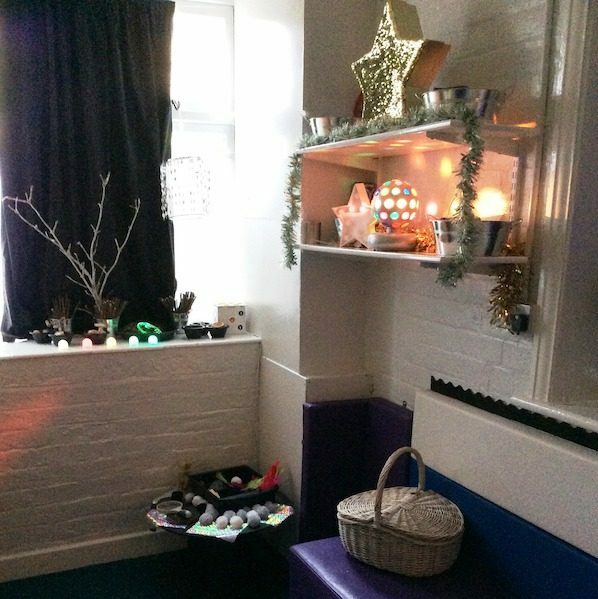 What a great time to open out new Sensory Room, parents were the first to see this during our Christmas stop and play session today making lots of lovely Christmas arts and crafts to take home with them. 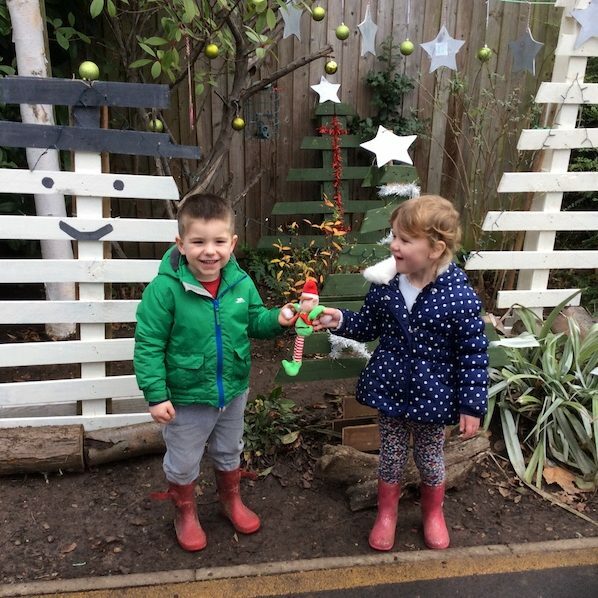 We had great fun on the Christmas mystery hunt and found a ‘surprise’ left by the Elves in the garden! 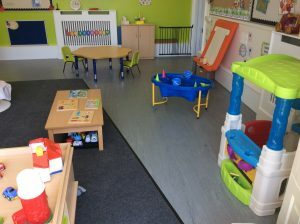 Tiger-tots pre-school has recently expanded and now has two pre-school rooms. 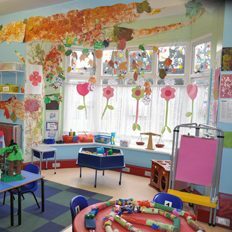 The Butterfly room is the largest of our rooms and is set up to meet the needs of our three year old children. Here children are able reflect their own interests between two areas providing a wide range of resources and access to role play, a rest/book corner, touch screen computer with age appropriate software, mark making opportunities, sand/water play, small world play, construction play, tactile/messy play and den areas. The environment and activities provided are focussed on promoting children’s learning and development through play, adult intervention and planned learning opportunities. 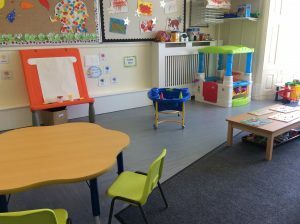 Our new Ladybird room is for our younger children from the age of two years and has been purposely set up to nurture and stimulate them during this early stage of development. 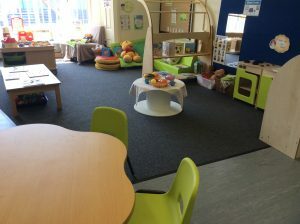 The environment features low level surfaces and seating areas making it an ideal environment for children to safely learn and develop new skills and confidence. While in the Ladybird room children have access to age appropriate resources through which they can explore and investigate. 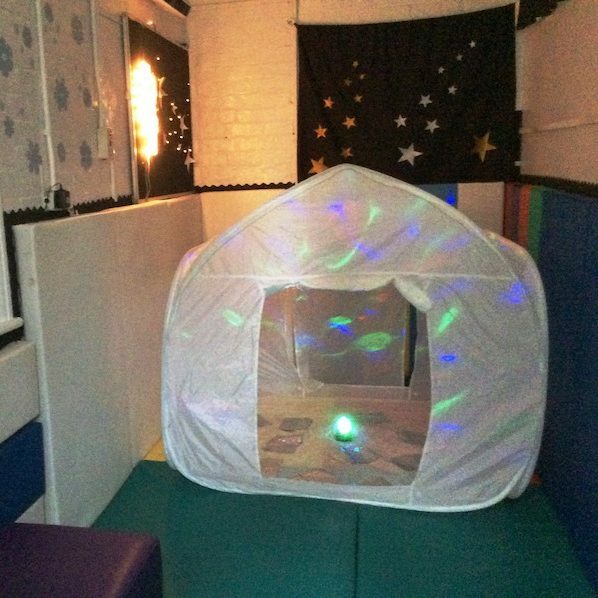 At this stage of development children will benefit from the opportunities of being in a smaller group of children with close adult intervention which the Ladybird room offers. Children’s social, communication and physical skills are some of the key aspects of development that we continually promote through play and one to one or small group opportunities. 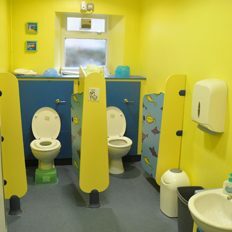 Both the Butterfly and Ladybird room have their own toilet / nappy changing facilities attached to the rooms. The refurbished child sized facilities will enable your child to develop the skills to independently meet their own personal needs. Our aim is to promote children’s independence through supporting children at each stage of their development. These areas have been designed to encourage children to feel safe and confident through this process. 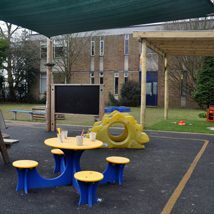 Children have daily access to the outdoor area which has fixed sun shade and rain shelters. Our outdoor facilities provide an exciting range of resources and equipment where children can safely challenge themselves and develop their physical skills. 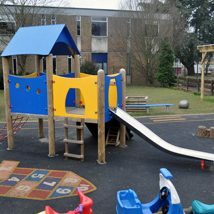 This includes our all-weather play surface and age appropriate facilities; making it particularly popular with the children. While outside children learn from first hand experiences which helps build children’s self-confidence and resilience. Spending quality time outside provides our little explorers with opportunities discover the natural world, the changing seasons, learn how plants grow and observe living insects. Children enjoy helping to care for our pet chickens, building their own obstacle courses, mixing ingredients in the mud kitchen area and making dens & fairy worlds in our wood nature area. Our recent Ofsted report commented very positively about our outdoor area which was set up by our Level 3 Forest School Practitioner. 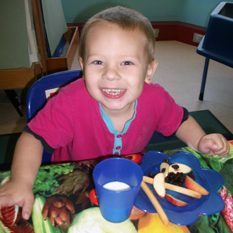 At Tiger-Tots Pre-School it is our aim to promote healthy eating for all children. We offer a range of healthy snacks through our morning and afternoon snack bar systems. Children have a choice of at least two different fruits and a small carbohydrate. We encourage children to drink milk to promote healthy bone development but offer water as an alternative. Throughout the day children have constant access to fresh drinking water. Staff are experienced in meeting individual dietary needs including gluten free, vegetarian and lactose free diets. Our lunch club is predominantly for children who attend full day sessions, children are asked to bring a healthy packed lunch.